I wanted her peas, so I went and got her peas. heehee. 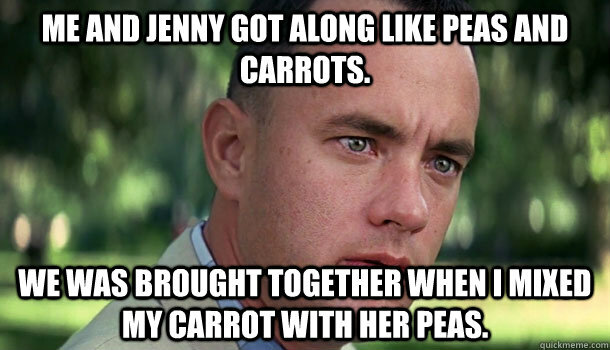 Ok, so that was a pretty silly joke, and, no, I don’t have her peas (no offense to anyone who does). I’m in a playful state of mind today and it serves to remind myself to not take life, or myself, too seriously. Squash that ego down and enjoy everything no matter what position you take or belief system you hold to because, at the end of the day, everything is absurdly wonderful. Look around today and find something you never thought of looking at and think of how random or intentional it is. Then think to yourself: “Huh.” and smile. Pretty simple view on life. That’s it. Really short and simple post for the day.